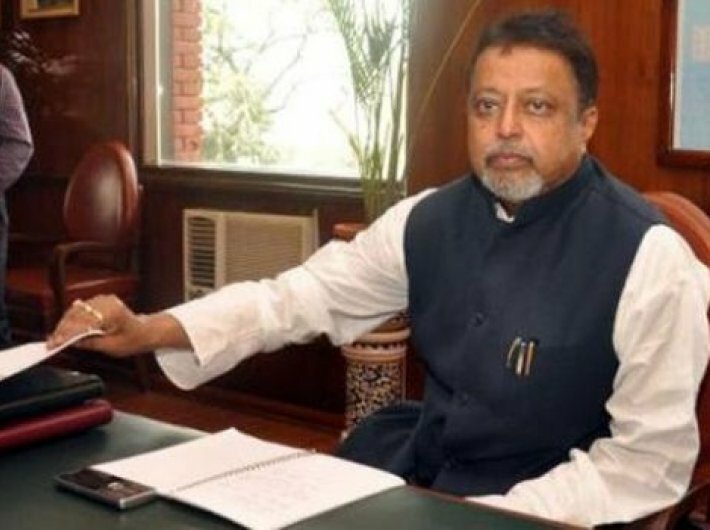 Mukul Roy, once considered the right hand man of West Bengal chief minister Mamata Banerjee, on Monday resigned from the Trinamool Congress, paving the way for his joining the Bharatiya Janata Party (BJP). Mukul Roy told the media that he has decided to quit the primary membership of the TMC and will put in his papers as MP after Durga Puja. "With a heavy heart, I announce my resignation," said Roy. The announcement comes a couple of days after state BJP president Dilip Ghosh said that the decision on Roy joining the BJP will be taken by the party’s national leadership. "He is a political leader of great stature. He has been in touch with some senior leaders of our party in Delhi," said Ghosh. Trinamool Congress had last week said that it had zero tolerance for meetings that had purportedly taken place between Roy and BJP leaders. Over the past few weeks, it had increasingly become clear that Roy was on his way out. On September 17, he was removed as the party’s national vice-president. His exit would create a Rajya Sabha vacancy. In 2012, a day after taking over as the railway minister, Roy withdrew increase in rail fares that his predecessor Dinesh Trivedi had proposed in the railway budget. The higher ticket prices had angered TMC chief Mamata Banerjee, forcing Trivedi to resign. The BJP has been trying to make inroads in West Bengal for quite some time and an experienced leader like Mukul Roy could give a boost to the party.